Just a little dessert after dinner at Boot and Shoe Service in Oakland. 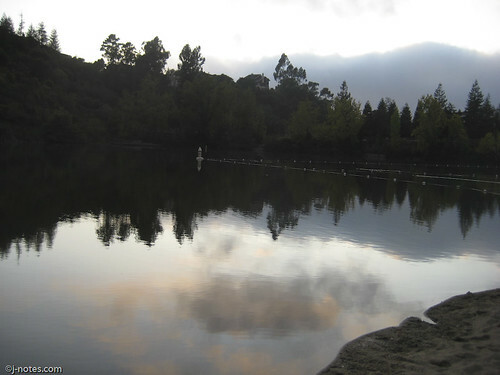 I have lived in the Bay Area for 11 years but this was my first time visting Lake Temescal. It had been on my “must see” list for a couple of years. I noticed the sign for the beach house as I was recently sitting in traffic on Highway 24. I went to see Lake Temescal the next day. It is beautiful and definitely a place to visit. After 10 years of work and millions of dollars in renovations, the Fox Theatre in downtown Oakland reopened on 2/5. In addition to being a music venue, the Fox Theatre is home to the Oakland School for the Arts. I did not attend the opening gala last week, but you can click here to see photos from opening night. I got a very late start on my weekly walk around Lake Merritt which is about 3.1 miles. If I am without my camera, I can get around the lake in about 45 minutes. 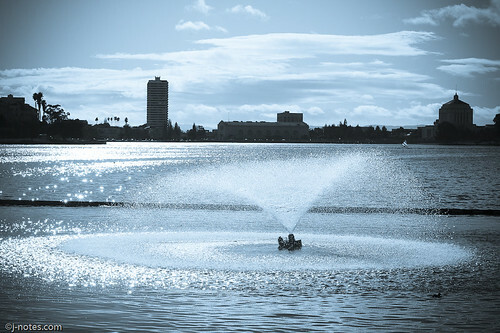 I remember seeing Lake Merritt for my first time in 1998 and knew that I wanted to live in Oakland. 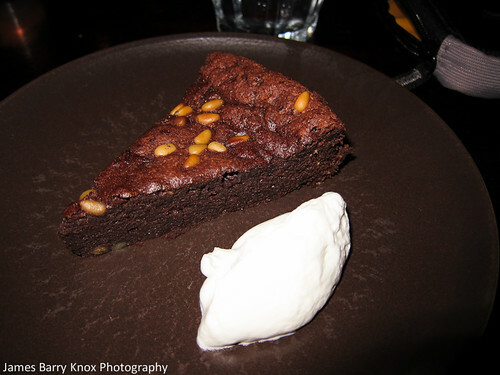 Have you been to Blackberry Bistro yet? This has been a very restful day after having a fairly busy weekend. I stopped by Blackberry Bistro for lunch and had a wonderful burger and fries. It opened about 3 months ago and I have been there several times for breakfast and have never been disappointed. Their menu is eclectic comfort food and you do not want to miss out on their biscuits. Chef/Co-Owner Robert Dorsey III prepares all the wonderful dishes while co-owner Sherrie Sparks handles the business end of the restaurant. Blackberry Bistro is located on a cozy corner at 4240 Park Boulevard in the Glenview district of Oakland and is open for breakfast and lunch, Tuesday thru Sunday. There is a great write-up on the restaurant in the Montclarion newspaper. If you are wondering how this remotely relates to music, Robert had The Best of the Gap Band playing while I was there which made it even more relaxing. 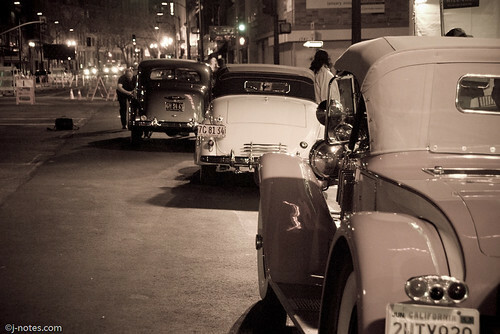 Hey, that could be a flashback one day. You are currently browsing entries tagged with Oakland at Simply J Life.